Register kids now for Gray Parks and Recreation’s February Vacation Camp Feb. 18-22. The gym will be open for fun activities, contests and games each day. Special events include Waffles and Wiffle’s, Painting and PJs with Nellie, Winter Wonderland, Funky Town Fun and a Sledding Championship. Go to www.grayrec.com or call 657-2323. The Lions Blood Drive resumes Friday, Feb. 15, at a new location. It will be held from 1 to 6 p.m. upstairs at Gray Town Hall. As before, one lucky donor will win $100 worth of fuel oil donated by Fielding Oil. Donor appointments are strongly encouraged; call (800) 733-2767 or go to redcrossblood.org. The American Legion Post 86 is hosting a Chili and Mac ‘n Cheese Cook-off from 3-10 p.m. Saturday, Feb. 16. For $5 you can be a judge and sample and score all the entries. Music will also be provided. Award categories are Best Chili, Best Mac ‘n Cheese and Best Name of Dish. The event is a fundraiser to send local students to Boys State. The post is located at 15 Lewiston Road. Fiddlehead Art & Science Center will hold an open house from 5:30-6:30 p.m. Monday, Feb. 11, and from 10-11:30 a.m. Saturday, March 23, to showcase their programs and answer questions. Fiddlehead also is offering an “Animals and Adventures” combo camp Feb. 19-22 for kids ages 3-13. Mr. Drew and his Animals Too will be featured, along with The Great Sled Challenge in which campers will craft their own sleds and test them on Libby Hill. For more information, contact Adele@fiddleheadcenter.org or call 657-2244. Fiddlehead Art & Science Center is at 25 Shaker Road. Gray Snowolves 2019 maps are available at Richardson’s in Windham and Circle K in Dry Mills. They’ll soon be at Tailgates Sports in Gray as well. 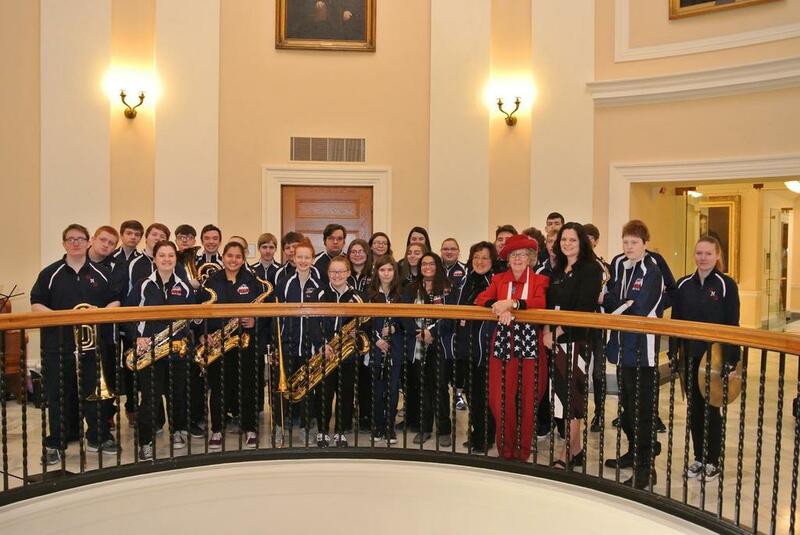 The Gray-New Gloucester High School Band performed before the Maine House of Representatives Jan. 31. The band visited Augusta at the request of Reps. Sue Austin and Amy Arata. 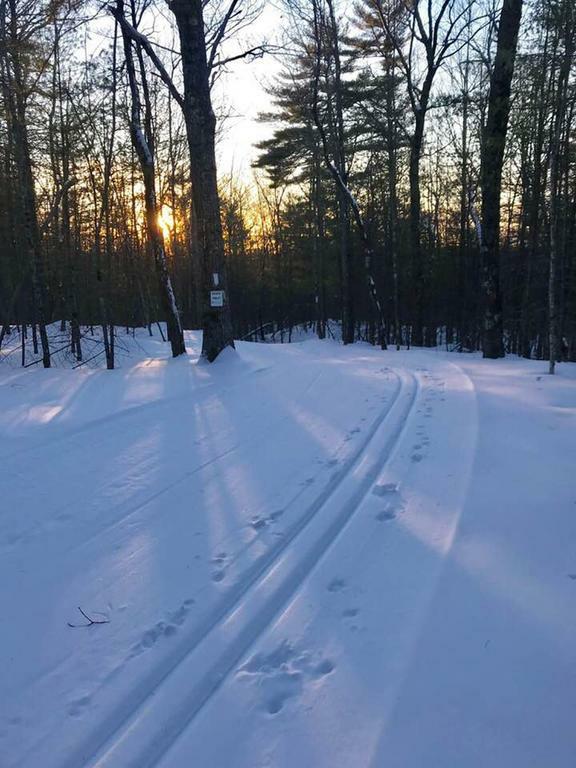 Conditions for cross-country skiing were excellent last week at Libby Hill Forest.